Muscle Pharm BCAA 3:1:2 Fördert Muskelentwicklung und Erhaltung! Promote muscle development and maintenance! Combat 100% Whey™ is an ultra-premium blend containing 100% whey protein. 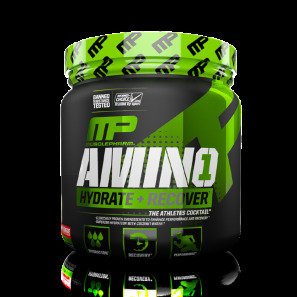 MusclePharm Glutamine Provides Optimal Muscle-Tissue Saturation! MusclePharm Re-Con™ takes post-workout recovery to the next level and features brand new, innovative ingredients, GroPlex™ and VitaCherry™ Sport.